Ajay Anand currently serves as the Deputy Director of the Goergen Data Science Institute where he is responsible for managing the data science education program and identify opportunities for expanding the curriculum offerings. Ajay leads the capstone and practicum courses by working with industry partners for support. Ajay has more than 12 years’ experience at Carestream Health and Philips Research working as a senior research scientist and technical project leader in the area of medical ultrasound and biomedical signal processing. He is the co-inventor on more than 25 patent applications, and co-authored more than 35 journal articles and conference proceedings. His technical interests are in time-series analysis, physical model-based predictive analysis, and biomedical data analytics. Ajay earned his PhD and MS in Electrical Engineering from University of Washington and MS in Biomedical Engineering from University of Texas. Robert Clark is the provost and senior vice president for research at the University of Rochester. 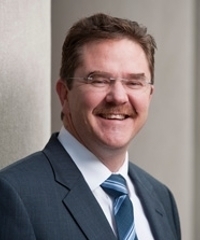 He earned his doctorate in mechanical engineering from the Virginia Polytechnic Institute and State University in Blacksburg, Va., and joined Duke University’s Department of Mechanical Engineering and Materials Science in 1992. He is an expert in the science of acoustics, dynamic systems, applied control and bio-nano-manufacturing. 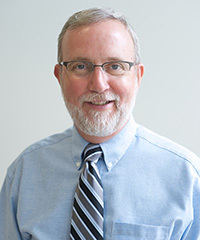 His work in these areas has led to 130 journal publications and earned him awards including the Lindsey Award of the Acoustical Society of America, the National Science Foundation Career Program Award, the Presidential Early Career Award for Scientists and Engineers, and the NASA Group Achievement Award. He is a fellow of the American Society of Mechanical Engineers, the Acoustical Society of America, and the American Association for the Advancement of Science. Gloria Culver is the dean of the School of Arts and Sciences. In this role, she handles matters relating to 18 departments and 12 programs covering the areas of arts and humanities, social sciences, and natural and physical sciences. She is involved in the recruitment and review of faculty in tenure-track and non-tenure track positions, and strategic and budget planning. Culver received her BA in biology from Ithaca College in 1988, and her PhD in biochemistry from the University of Rochester in 1994. 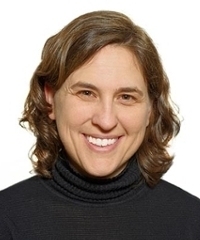 Before joining the Rochester faculty in 2007, she was an assistant and associate professor in the Department of Biochemistry, Biophysics, and Molecular Biology at Iowa State University. She has served as chair of the department since 2010. Culver’s research centers on the assembly of ribosomal machinery essential for growth of all cells. Her research has received funding from NIH, the American Cancer Society, and NSF. 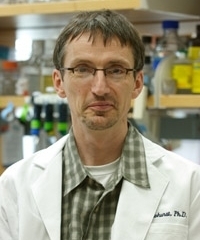 Stephen Dewhurst is vice dean for research at the University of Rochester School of Medicine and Dentistry (SMD), dean's professor, and chair of microbiology and immunology. He has been a member of the University’s faculty since 1990, and served as senior associate dean for basic research at SMD from 2007 to 2009. He is a molecular virologist, with more than 20 years of experience in HIV/AIDS research. He also directs the University’s Center for AIDS Research as well as its Upstate Stem Cell cGMP Facility. He has extensive experience with graduation teaching and mentoring, and received the University’s William H. Riker Award for Graduate Education in 2008. Wendi Heinzelman is a professor in the Department of Electrical and Computer Engineering at the University of Rochester, and she holds a secondary appointment in the Department of Computer Science at Rochester. She also currently serves as the dean of the Hajim School at the University of Rochester. Heinzelman received a BS degree in electrical engineering from Cornell University in 1995 and MS and PhD degrees in electrical engineering and computer science from MIT in 1997 and 2000. Her current research interests lie in the area of wireless communications and networking, mobile computing, and multimedia communication. 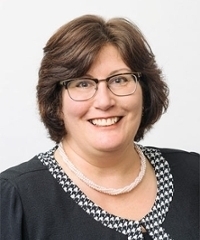 Heinzelman is a member of Networking Networking Women (N^2 Women) and the Society of Women Engineers (SWE), a distinguished scientist of ACM Sigmobile, and a senior member of the IEEE Communications Society and the IEEE Signal Processing Society. Dr. Johnson is the Executive Director of the GIDS Center of Excellence for Data Science and the Rochester Data Science Consortium. He was Vice President of the Palo Alto Research Center (Xerox PARC), managing their Intelligent Systems Laboratory in Palo Alto until 2014 at which time he moved to Rochester to integrate Xerox’s Webster Research Center into PARC. Previously Dr. Johnson served as Senior Vice President of Operations at SkyGrid, Inc., a real-time financial news analytics startup, as well as the Vice President of Strategy and Business Development at Uppercase, Inc., a tablet PC startup acquired by Microsoft in a $45M transaction. He is a former scientist in PARC's groundbreaking Human-Computer Interaction group, where he specialized in intelligent interfaces for mobile and ubiquitous computing applications. His work on an embedded document application environment for multifunction devices led to the creation of a special enterprise-level division of Xerox, for which he received the Xerox President’s Award and the PARC Excellence in Science and Technology award. He also served as the Vice President of Strategic Operations at 12 Entrepreneuring, a business incubator in San Francisco. He holds 15 United States patents. Dr. Johnson obtained his PhD in Cognitive Psychology from the University of Pittsburgh, and BA and MA. degrees at the University of Arizona. 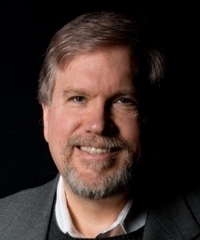 Henry Kautz is the Robin and Tim Wentworth Director of the Goergen Institute for Data Science and Professor in the Department of Computer Science at the University of Rochester. He has served as department head at ATandT Bell Labs in Murray Hill, NJ, and as a full professor at the University of Washington, Seattle. In 2010 he was elected President of the Association for Advancement of Artificial Intelligence (AAAI), and in 2016 was elected Chair of the AAAS Section on Information, Computing, and Communication. His research in artificial intelligence, pervasive computing, and healthcare applications has led him to be honored as a Fellow of the American Association for the Advancement of Science (AAAS), Fellow of the Association for Computing Machinery (ACM), and Fellow of the AAAI. He has received the IJCAI Computers and Thought Award, the Ubicomp 10-Year Impact award, the AAAI Classic Paper award, and the IAAI Deployed Application award.